Rotary Mission Beach regularly provides financial support to local community clubs and organisations. 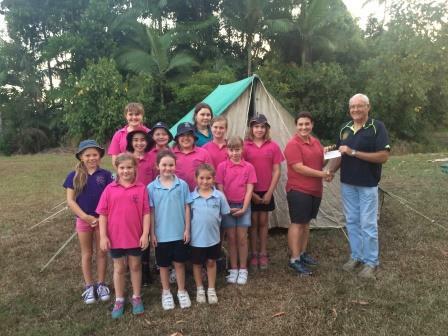 Club President Tom Brown recently presented the Tully Girl Guides with a cheque for $500 to go towards purchasing camping equipment. These funds will assist them in attending their regional camp this weekend. Girl Guides is the largest youth organisation for girls and young women in Qld, so if you're interested in joining then why not give them a call!